Can Offshore Wind and Fishing Coexist? Steve Brustein of West Warwick and Kevin Fetzer of East Greenwich with summer flounder (fluke) and black sea bass they caught when fishing the Block Island Wind Farm area. This is an update on offshore wind farms in the northeast and what some in the fishing community are saying about the relationship between fishing and offshore wind. Utility-scale wind farms produce reliable, economical, renewable energy for millions of people. And, offshore wind has been proven to produce electrical energy more effectively as ocean winds blow harder and more consistently than land winds. In Denmark they produce so much ocean energy (at a low cost) that they export it to other countries. Jim Stevens of Warwick, RI with cod fish caught in the Block Island Wind Farm area last year. The Bureau of Ocean Energy Management (BOEM) is our government agency taking the lead on offshore wind, as well as gas and oil exploration in the ocean. All are looking to BOEM to determine if ocean wind can be developed without harming the environment, fish and fish habitat. BOEM’s primary job is ocean energy; ocean habitat and fisheries are not it’s primary business, so some fishermen are concerned that the agency is not looking after fishermen’s best interests. Chris Brown, commercial fisherman, president of the Rhode Island Commercial Fisheries Center and president of Seafood Harvesters of America said, “I am not convinced that BOEM has the oceans and fisheries expertise to do this. I would love to have NOAA involved, but BOEM (under the Trump administration) does not seem to want them engaged.” However, U.S. Senators felt NOAA should be engaged in the planning phase and made their intentions know in 2019 appropriations bill comments for the Commerce and Interior Departments as noted below. In 2019 draft U.S. Senate appropriations bills for the Interior and Commerce departments, senators ask ocean wind farm developers do a better job of reaching out to recreational and commercial fishermen. U.S. senators are asking that the wind farm developers utilize the regional council and commission structures that are already in place under the present Magnuson-Stevens Act for fisheries input. What’s planned for the east coast? According to BOEM, seventeen active or expired leases have been granted to a number of companies from Maine to Florida, with most of them in the northeast. Multiple projects will likely be developed in each lease area in phases. Overall thousands of turbines are planned with these projects. The only one completed is the Block Island Wind Farm (BIWF) pilot project with five turbines, delivering 30 megawatts of energy. In New England three companies have been granted lessees: see Rhode Island and Massachusetts Lease area map for Deepwater Wind (DWW) Baystate Wind (BW) lease areas and Vineyard Wind’s site south of Martha’s Vineyard and Nantucket. DWW and VW have been granted contracts to deliver over 2,000 megawatts of power to northeast states. In December 2017, more than 50 scientists presented their research findings at the Southern New England Offshore Wind Energy Science Forum. Their conclusion was that the Block Island Wind Farm has had no remarkable adverse effects on the environment, fish, mammals, birds or people. Scientists at the Forum made the point that the BIWF has five turbines, and that the cumulative effect of hundreds of turbines in the same area are unknown. So they advised careful study before, during and after construction of future wind farms to understand any cumulative effects that may occur. John O’Keefe, Deepwater Wind Manager of Operations, Maintenance and Marine Affairs said his company carefully developed the planning process used at Block Island so they could use it as a planning protocol for future projects. O’Keefe said, “Early in the project we do habitat and fisheries research, engineering studies, public meetings, open houses, and gather input from our fisheries liaisons and representatives from meetings and dockside conversation with the fishing and boating communities.” DWW then takes all this input and develops a workable wind farm layout. Some projects in New England have not used a collaborative community/fisheries approach to develop wind farm layouts. They develop the layout first and then communicate it to fishermen even though it may not meet fishermen and boating access needs. Many non-scientific based claims were addressed with the research conducted by DWW such as “pile driving will drive mammals away,” “you can’t trawl in the area of the windfarm,” “they won’t allow you to fish close to the pylons,” “pile driving and turbine bases will destroy habitat,” “the electromagnetic fields emanating from the cables will destroy our fishery,” “fishing in the windfarm area is not good” and many others. 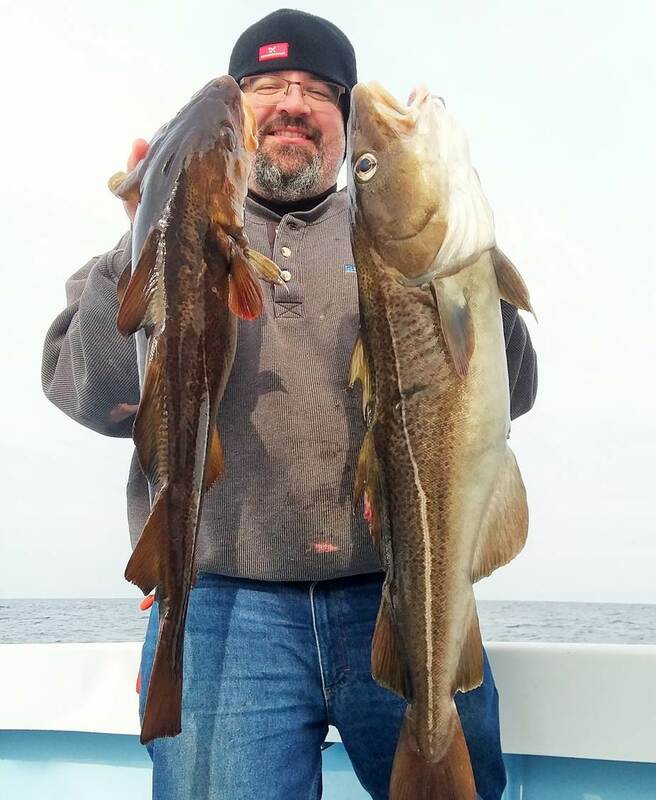 Private recreational anglers, charter captains and commercial fishermen alike have successfully fished the Block Island Wind Farm area. Anglers have caught summer flounder, black sea bass, cod and scup to name a few. Here are a few thoughts and concerns from local fishermen about fishing around these wind turbines. Patrick Paquette, a recreational angler and fish advocate, is working with the Anglers for Offshore Wind Power. Paquette said, “The organization supports access to turbine pylons and foundations, (being able to fish close to them) as well as early angler engagement in the planning process and science.” The organization has an underwater video of sea life around Block Island Wind Farm turbine pylons. The video shows mussel growth on pylons with scup and black seabass around the foundations, and larger fish, such as bluefish and striped bass, just off the pylons. Mark Taylor, president of Jersey Coast Anglers Association (JCAA), said in a July 18 letter to BOEM, “JCAA supports the responsible development of offshore wind farms as it will create new fishing opportunities for our members… we have always supported offshore wind and the reduction of the use of fossil fuels for creation of electric power.” JCAA represents 75 fishing clubs and associations. It’s clear through the Block Island Wind Farm initial success that offshore wind and fishing can coexist. However, conducting fish and habitat research before, during and after wind farm construction is vitally important to make sure we find out if we are having any type of cumulative impact on fish and habitat. We have an effective research protocol in place via the Block Island Wind Farm. We need to use this research protocol for all new projects, as ocean bottom, habitat and fisheries in the area of each wind farm site are different. This research protocol and the utilization of the public input processes under our national fishing law, the Magnuson-Stevens Act, to garner community fisheries and fish habitat data is the framework we should follow to inform BOEM decision making.